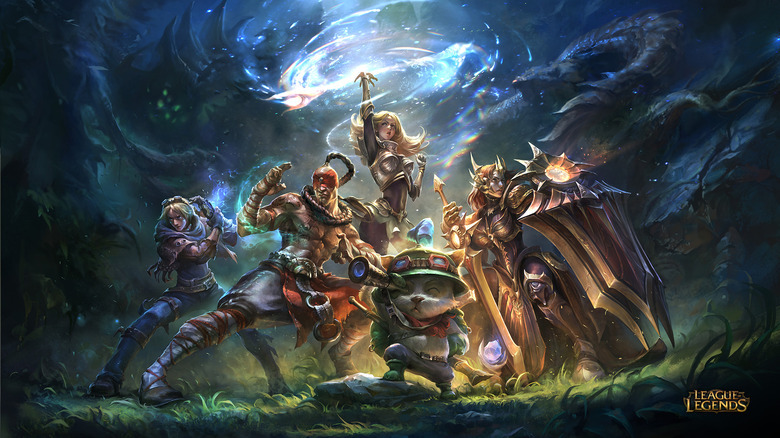 League of Legends has over 100 different champions to master. Obviously, some pretty standard archetypes exist in the game: Garen is a valiant knight, Nocturne is a shadowy nightmare, and so on. For some of their other characters, however, Riot has drawn inspiration from popular fantasy stories, real-world fighting masters, and some even more bizarre places. Aatrox, a soul trapped inside a sword, may seem reminiscent of the bonkers story of the Soul Calibur series. Mike Laygo, senior animator for Riot, actually stated on Reddit that the character’s animations and movements were somewhat-based on both Sauron and the Balrog from Lord of the Rings. Fitting, considering Laygo also worked on Lord of the Rings: The Battle for Middle-Earth. Fiora, known as the “Grand Duelist” and fencer extraordinaire, probably comes from a bit more obscure stock. She seems to have much in common with 14th-Century legend Fiore dei Liberi, a fencing master who authored a fighting manual called The Flower of Battle. His book is one of the world’s oldest surviving fencing manuals. Moral of the story: screw Teemo.